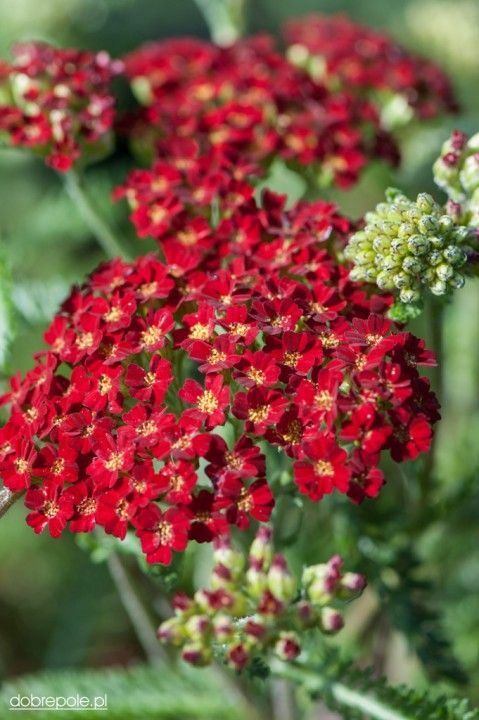 Achillea 'Desert Eve Red'. 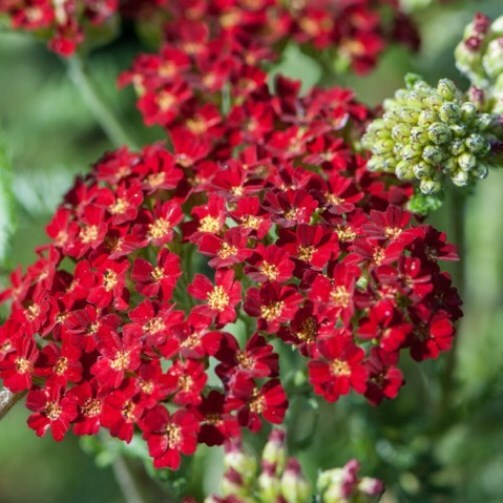 This little wonder features compact mounds of vigorous foliage topped off with large red flowers from May through August. This newer yarrow is a great choice for containers and gardens. This dwarf version of a popular cutting flower is perfect for those with limited gardening space. PPAF.